In a recent interview, J.K. Rowling stated that she doesn't think a sequel to Harry Potter will happen. She was specifically referring to "Harry Potter 8," or a story focusing on what happens to Harry, Ron and Hermione after Deathly Hallows. It sounds like that's off the table (for now, anyway), but Rowling's magical world is so vast, with so many characters, that there are plenty of other ways she could revisit the magical world, much in the way she is by penning the adaptation of Fantastic Beasts and Where To Find Them. 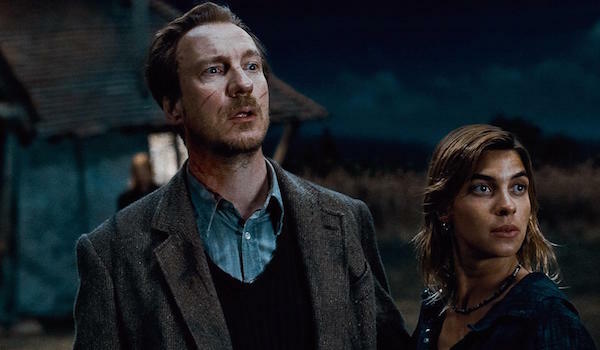 Knowing what we do (and don't) about the characters featured in the Harry Potter books, we came up with a list of non-sequel stories we'd love J.K. Rowling to write. Because let's face it, for Harry Potter fans, enough will never be quite enough for us. A lot of people want a Marauders story, which would focus on James, Sirius, Peter and Lupin when they were at Hogwarts. 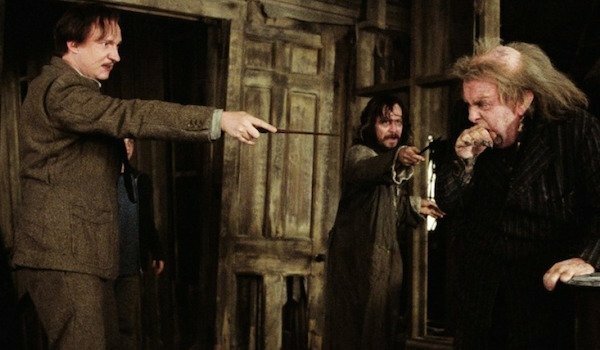 While I'm all about reading about this foursome's adventures at Hogwarts, I'd want Sirius to be at the center of the story, as it still seems like there are a lot of blanks to be filled in about him. What was life like for him at Grimmauld Place? And what was it like when he got to Hogwarts, coming from a family of dark wizards? 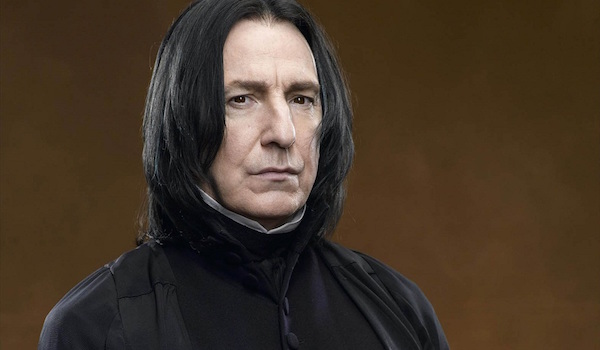 Almost anything related to Severus Snape would be of interest to Harry Potter fans. We know a lot about the potions master's background already, as much of it ties into Harry's story, due in large part to his connection to Voldemort, his distaste for the boy wizard, and his love for Harry's mother Lily. Pretty much any story about Severus Snape has the potential to be riveting, but I'd be particularly interested to learn more about how he became a Death Eater and the events leading up to his decision to turn against Voldemort, told from Snape's perspective. 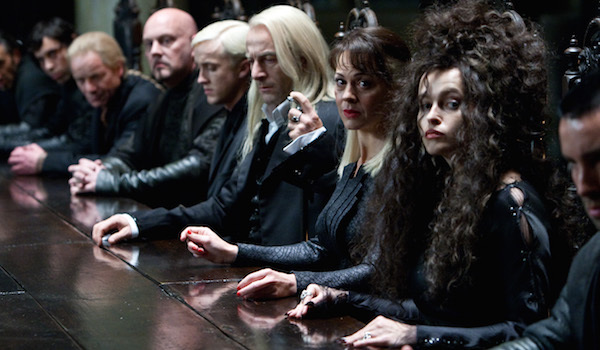 J.K. Rowling has already given us some interesting insights into the mindset of Draco Malfoy... and now we want more. What was Hogwarts like for Draco? What became of him immediately after he left Hogwarts? A series of essays told from his perspective could shed some fascinating light on Harry Potter's rival. From what Rowling has said, we know he faced his own challenges at Hogwarts, and we know he went on to get married and have a child after he left the school. 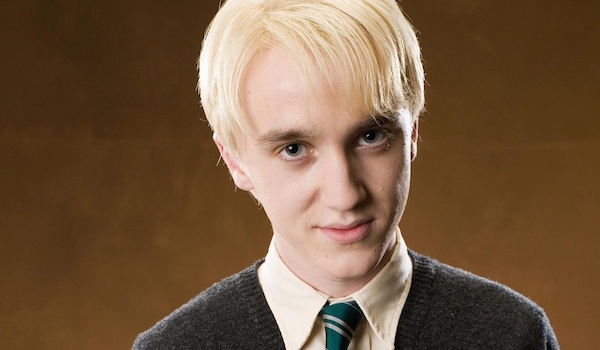 Rowling has even suggested that, in adulthood, Draco longs to be a better man. There's more story here, or at the very least, more to the character than what we saw in the original series. Let's hear Draco's side of the story! Any story centered on the Black Family would work, but a story that showcases Andromeda, Bellatrix and Narcissa could prove to be especially fascinating. 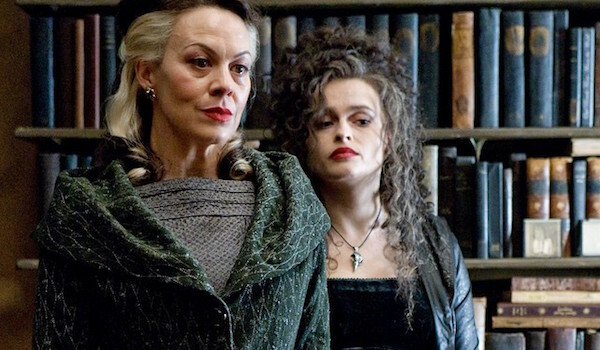 We know Narcissa and Bellatrix are close, and that Andromeda (Tonks' mother) was disowned by her family, but there's so much we don't know about the three sisters' relationship, and who they were as individuals, particularly in their youth. One sister went on to become a member of the Order of the Phoenix, another became one of Voldemort's most trusted supporters. And the third sister fell somewhere in between, marrying into the Death Eater life without actually being one of them. There's more to know about these three women and who they were before and during the first war. Remus Lupin - From the First War to the Second. We know Remus Lupin never had an easy life. But there are some major gaps in his history that could be explored, particularly between the first war, after James, Lily and (supposedly) Peter were killed and Sirius was arrested. and when he arrived at Hogwarts in Harry Potter and the Prisoner of Azkaban. There's a lot about werewolves in general that's touched on in the books, but not explored in depth. I'm now imagining a whole series of books focused on Lupin's post-first-war life. I also wouldn't hate a followup focusing on Lupin and Tonk's relationship. There never was enough of that, as it wasn't central to Harry's story, but I bet there's a great love story there. 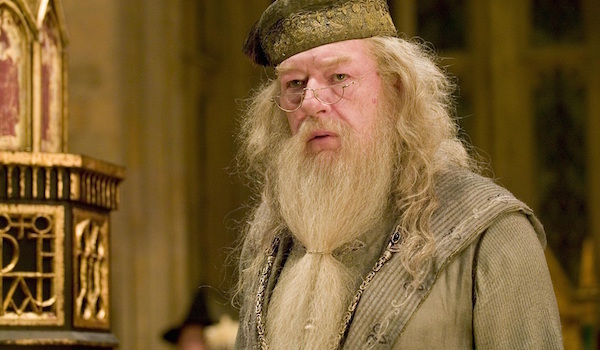 It goes without saying that Albus Dumbledore was pretty old during the Harry Potter series. The character lived more than a century. We already know some fascinating details about his life, including the troubles and tragedy he experienced with his family during his early years, and his battle with Gellert Grindelwald. While it would be great to learn even more about those aspects of his life, there are huge gaps in the characters history that have yet to be explored. Perhaps his friendship with Nicolas Flamel, or how he discovered the twelve uses of dragon's blood? Or just about anything that happened to him before or during his tenure at Hogwarts. 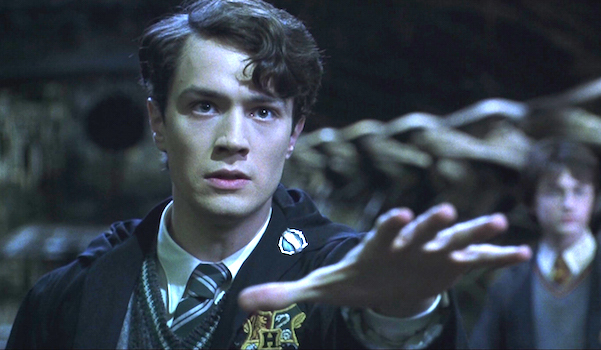 Tom Riddle has a story. The highlights and horcruxy lowlights of He Who Must Not Be Named's life were delved into throughout the seven Harry Potter books, but you know there's more to tell. It's hard to imagine J.K. Rowling going full-on dark to show us how Tom Riddle transformed into Lord Voldemort, as we know he did some pretty horrific things to slash up his soul enough to make all those horcruxes, but a biography of the Dark Lord's rise, with insights into his own mind, his relationships with his Death Eaters and anyone else he might have been close with at any point, would be fascinating... also probably really disturbing. 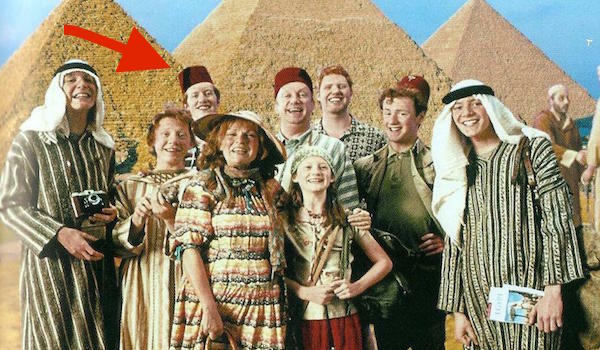 Of all the Weasley kids, we probably know the least about Charlie. He and Bill were out of Hogwarts by the time the story started, but Bill was featured more prominently later in the series, whereas Charlie always felt like more of a background character, which is unacceptable. He works with Dragons, for Merlin's sake! That in itself makes him interesting, but there are surely more stories to be told about the second eldest Weasley son. Whether it's set during the time when Harry was at Hogwarts (maybe with a Norbert tie-in? ), or later on after the second war, Charlie Weasley's adventures could make for a very interesting and thrilling story. Plus, dragons! 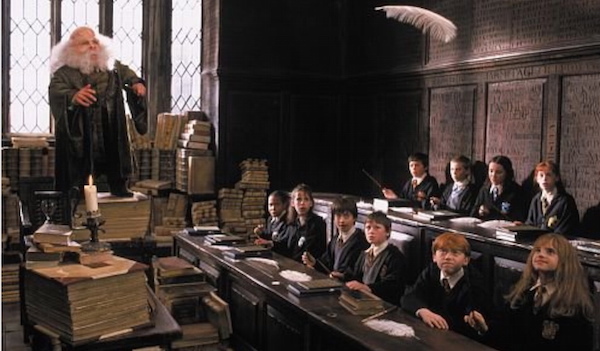 Before Harry Potter was born, Lord Voldemort was at the height of his power. On one side, he stood with his Death Eaters. On the other, the Order of the Phoenix rose up to challenge him. How did the Order come together? And what's the story behind Voldemort's most faithful supporters? We know that some went to Azkaban after Voldemort was nearly destroyed. Others fled in fear. A story that split between the Order members bravely trying to fight against Voldemort, the sneaky spies like Peter Pettigrew hidden among the heroes, and the dark wizard Death Eaters worshipping Voldemort would surely be a fascinating read. If J.K. Rowling wanted to steer clear of Harry Potter's corner of the magical world entirely, she could start up a new series (or write it for a TV show, perhaps?) set in another magical school somewhere in the world. We know the feature adaptation of Fantastic Beasts and Where To Find Them is set to pick up in New York (around the 1920s), so Rowling already seems prepared to explore magic outside of the United Kingdom. Perhaps she'll feel compelled to take that further with a new story in a modern setting. Which of these Harry Potter-related stories would you want to read most? I don't want to read any more Harry Potter stories! Tom Riddle becoming Lord Voldemort. Remus Lupin's life after the first war. Draco's side of the story.